Discover the breathtaking beauty of Burgundy by bicycle as you pedal for six days, riding the famous Route des Grands Crus. Discover the breathtaking beauty of Burgundy by bicycle as you pedal for six days, riding the famous Route des Grands Crus, passing by such well-known appellations as Côte de Nuits, Beaune, and Chalonnaise before finishing up in the magnificent Beaujolais Hills. Throughout this luxury cycling tour in Burgundy, you will have the chance to visit a few exquisite “chateaux” and taste some of the best wines the region has to offer, all selected by Bike Basque for your enjoyment. After a warm welcome, you will be driven to the hotel and introduced to the Bike Basque staff who will go over the schedule, route, safety as you traverse the Burgundy region, and respond to any questions left unanswered. Gift bags that include a Bike Basque cycling jersey, water bottles and road book will be distributed to each guest, and for those who have chosen to rent a bike with Bike Basque, we will assist in setting-up the bike to your specs. How does dinning in a two-star Michelin restaurant sound? You will have the option of enjoying a delicious evening meal at the “Chapeau Rouge” restaurant, located a mere 500 meters from your hotel, or simply spending the evening strolling the quaint streets of the historic Dijon center. On your bikes! 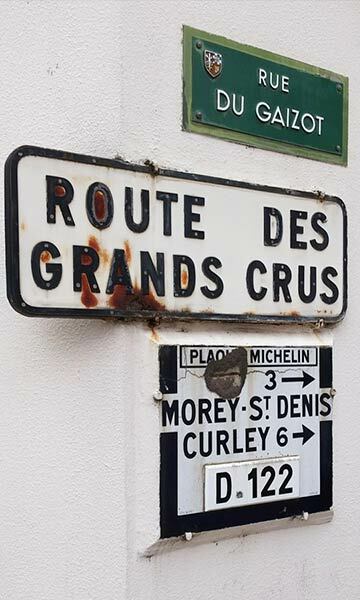 We will be leaving Dijon and heading directly for the gorgeous vineyards that surround the quiet secondary roads of the Route des Grands Crus. At the 42 km mark, you will arrive at the massive fortifying walls that once protected the city of Beaune, the “Capital of Burgundy wines”. Here you will visit the vast 13th century “Patriarche Caves” and end this privileged moment with a wine tasting of course! Then, back on your bike for an agreeable 16-km pedal through more vineyards en route to the hotel. Today is the second longest ride your luxury cycling tour in Burgundy, 84 km on quiet and peaceful bike paths without any real difficulties. 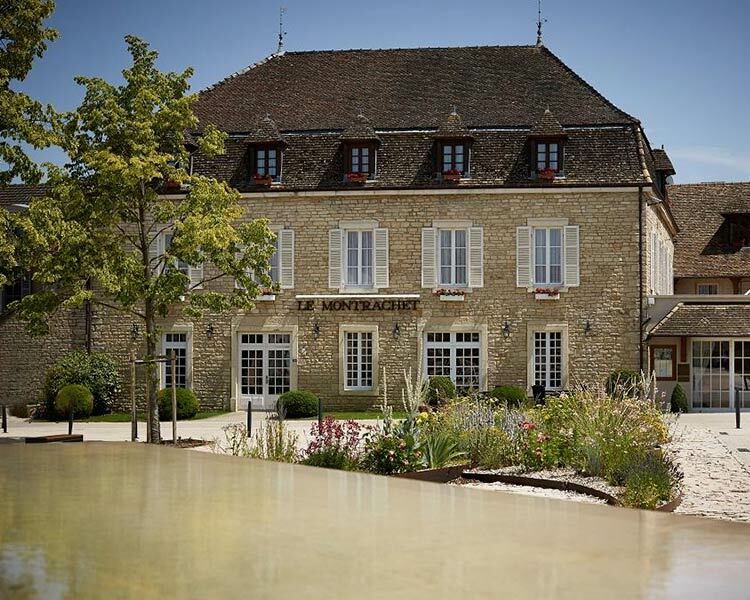 Tournus arrives at the 64-kilometer mark where you will visit the “Vignerons de Mancey” and learn about Burgundy’s many different micro-climates and its more than 100 appellations! The last 24 km to the hotel are relatively easy and quiet. Seventy kilometers with some hills await you today on this ride, which is probably the most challenging of the trip. Once south of Burgundy, you will pass through the superb of “Monts-du-Beaujolais” (Beaujolais Hills), before stopping at a regional cave for an organized visit and tasting. The second half of this ride to the hotel is relatively easy with no difficulties. 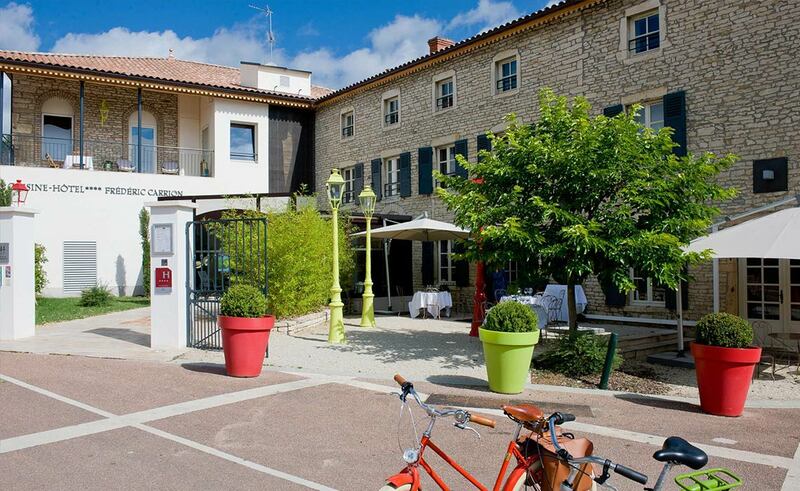 Tonight, you will be staying in Vonnas, home of the famous “Village Georges Blanc”. Today is the longest bike ride of your luxury cycling tour through Burgundy. After a short 28-kilometer warm-up, you will arrive at the stunning 15th century Château de Corcelles, classified as historic monument since 1927. Time to visit of the castle and its vineyard, and enjoy a quick wine tasting before returning to the bikes for a final 72 kilometers along the Saone River, direction Lyon. If you do not wish to ride the last segment, jump into one of our cars, and we will accompany you to the hotel. -6 days/5 nights accommodation in quality 4 or 5 star hotels. -A Bike Basque gift bag with jersey, bottles, road-book etc. Email us for possible dates. Any questions for our Guide ? Bike Basque would be pleased to answer any questions you may have. We look forward to hearing from you.